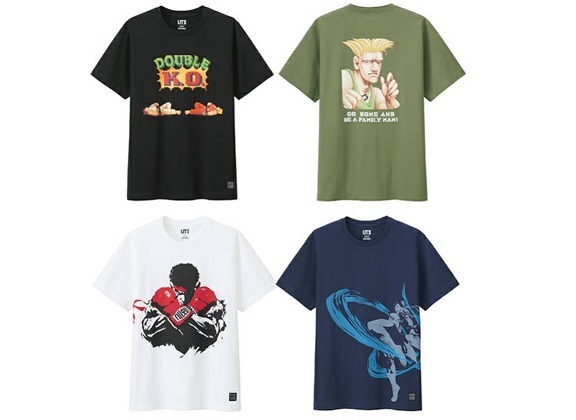 Japanese casual clothing company Uniqlo has released images of a new range of T-Shirts based on Capcom's iconic fighting game franchise Street Fighter. The collection, which goes on sale at Uniqlo outlets from April 15, features classic characters and art from Street Fighter II and Street Fighter V.
The SFII range features block colours overlayed with various sprites from the 1991 arcade classic, including the character select screen, a trio of uppercuts, and Guile's famous victory screen, among other designs. The SFV set features off-center screen imagery of characters from the game including Ryu, Cammy and Akuma. 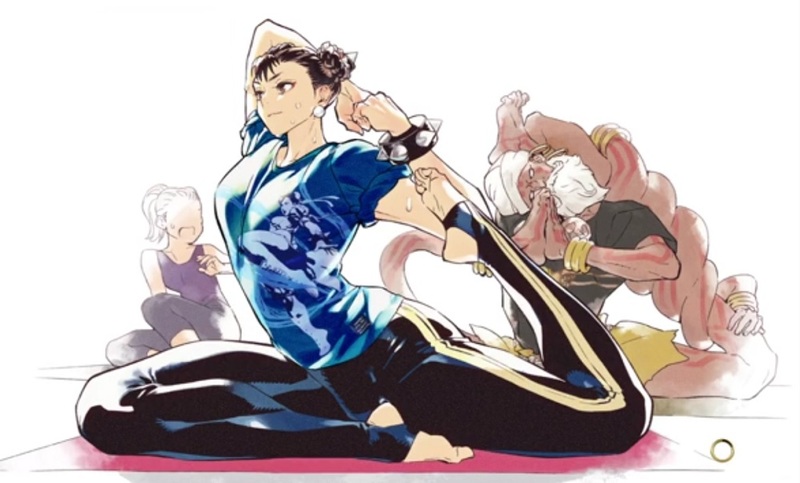 I think the Bison and Chun shirts are the best in the range. No Juri though, Boo. Never one to miss out on an opportunity to make Street Fighter V gross, Capcom has brought back the much maligned in-game adverts. These optional ads offer players a pithy amount of Fight Money in return for advertising the Uniqlo garments on certain stages and loading screens. Of note, however, is the removal of adverts appearing on characters themselves, which was easily the most egregious example of the in-game ad mechanic. Uniqlo's Street Fighter collection launches April 15 in store and online. Street Fighter V is available now on PS4 and PC.